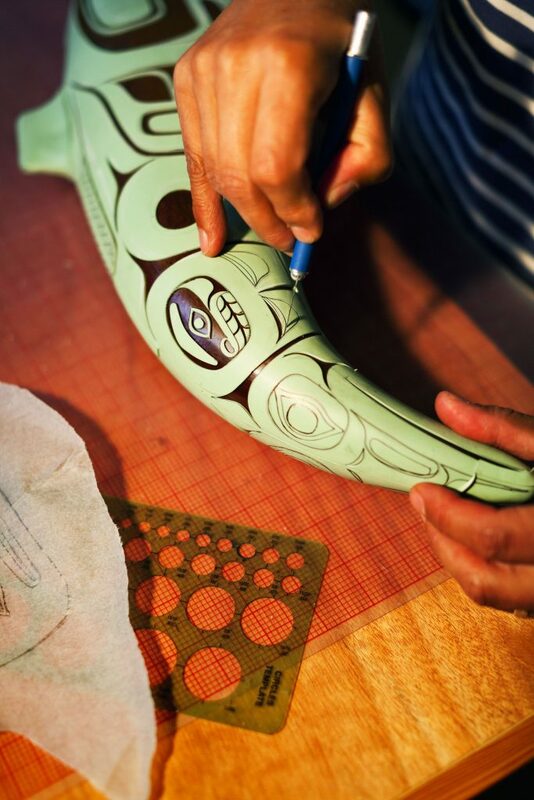 Can you expand how important, your glass art has been to your own Tlingit cultural heritage. 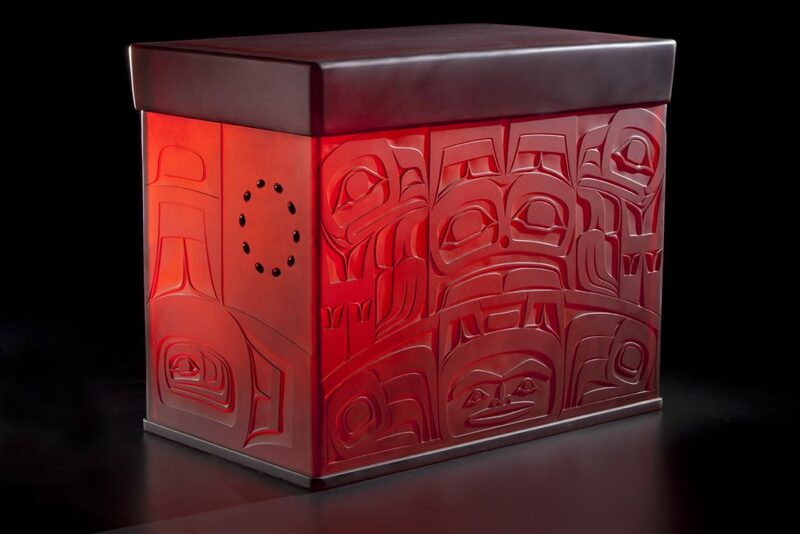 I cannot claim that my work is any more important than any historical objects from my Tlingit culture. I do feel that my art and perspective bring a new dimension to Indigenous art. I feel that it breaks out of the cultural corral that anthropologists would like to place our cultural art in. The materials that we use are becoming increasingly hard to acquire, for example – the large logs for totem poles and dugout canoes. I think you’ll see new materials being used for cultural art, and I just happen to be doing it in this new way. There were people who were before me, and there will be people after me. As the Maori say, “My work is not my own but those of many”, meaning that the ancestors who pioneered our cultural styles gave us a vocabulary to represent our history. Like the Aboriginal people have their “pattern laws”, it identifies them. 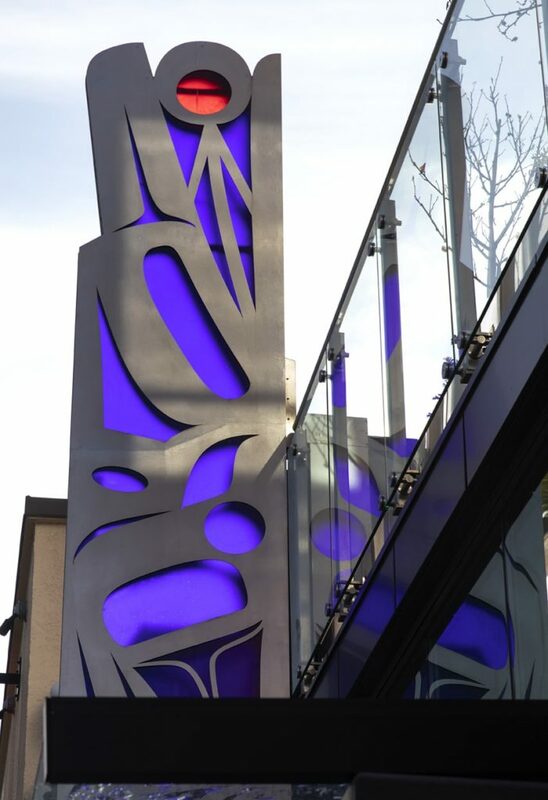 As the formed lines and designs are cultural, how do you keep a balance between them and your own contemporary art? 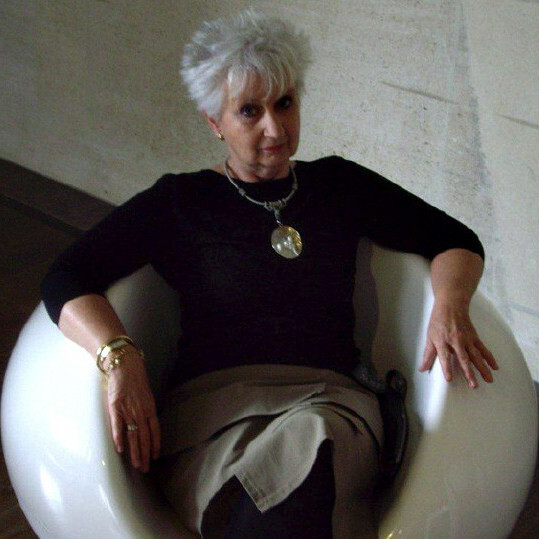 I have studied hard and sought out mentors who have helped me with developing my work. I contend that since the European immigration to North America our art and culture has suffered in many ways. Our people were not allowed to engage in our culture that had governed us for thousands of years. The monetary system was effectively dismantled. There was a lot of knowledge that was lost during this time change and we are working to reconstruct it so that it will live on for generations to come. In the past it was the clan leaders who commissioned all the material objects to be made, such as totems, canoes, boxes, bowls, and spoons. Today the clan leaders are not financially empowered to commission art work as in the old days. It occasionally happens, but not as much. If there were no practicing/working artists there would be no good art. For this reason we are forced to go to the commercial market. I do feel that I am prepared to make strong work for my community when it’s asked of me. 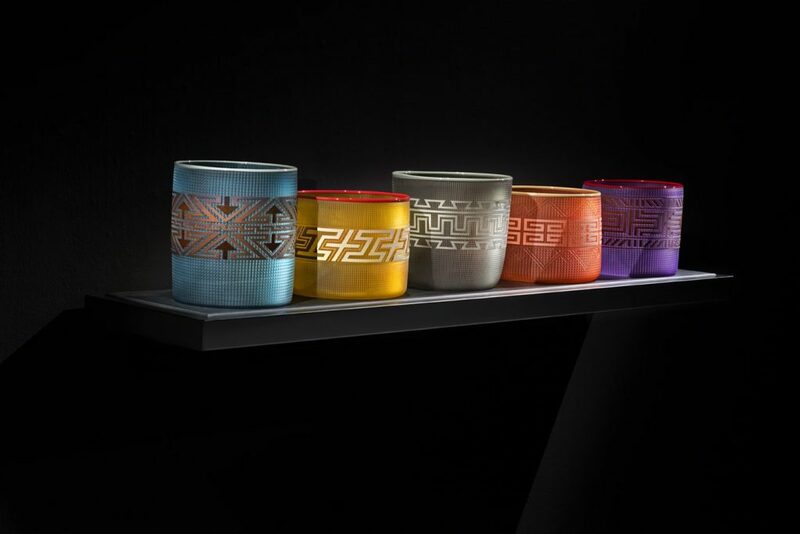 Glass art would not have been traditional, how do your elders see and relate to your representation of your shared culture? The first couple of pieces I made were the upside down Tlingit hat forms with a wolf design carved on them. I sent them up to Alaska for a group exhibition and one was displayed at the Museum of History and Art in Anchorage, it’s still on display there. Years later when I brought my work back to Alaska for a cultural art and culture gathering I think my work came way out of left field, but was received enthusiastically. 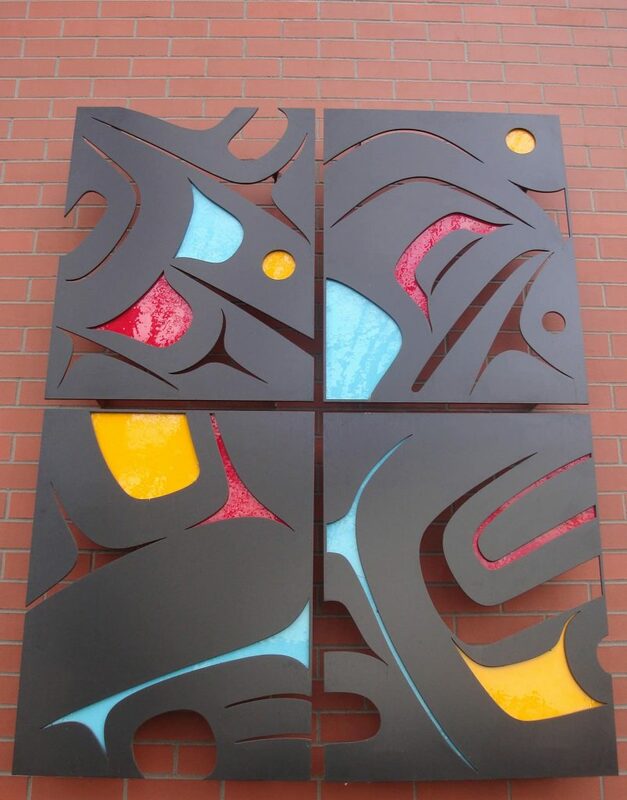 Eventually I was asked to make a significant triptych for Sealaska Heritage, a cultural arts center in Juneau. This signified to me that my cultural peers were embracing and supporting my work. They told me as much, that they wanted our art to expand and grow. This was a very important right of passage for me and the work that I do. 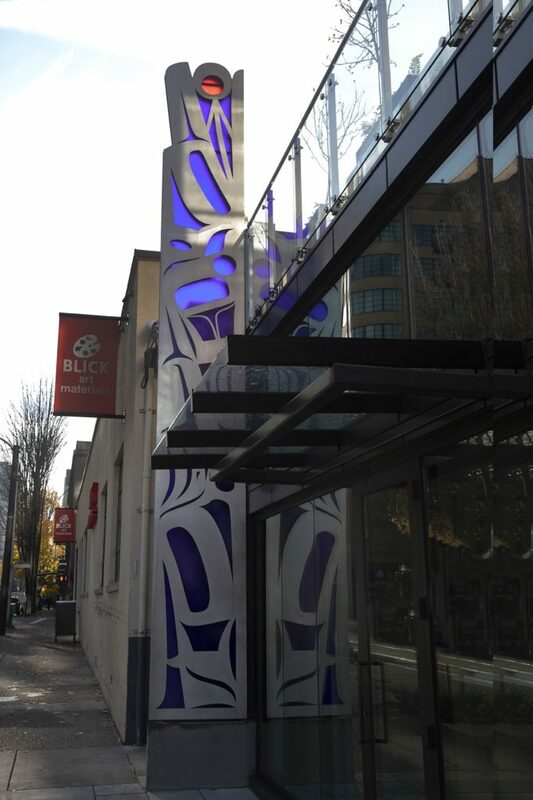 Can you discuss how you have been able to inspire other indigenous artists to develop along similar lines especially glass? I try to work with established Indigenous artists in a collaborative way, where they become the designers and I execute their designs by how they see it using the techniques that I employ for my own work. By doing this, I hope to expand the vocabulary of Indigenous art. To date I’ve worked with many Native American artists from around the country, as well as Maori of New Zealand, Hawaiian and Australian Aboriginal artists. 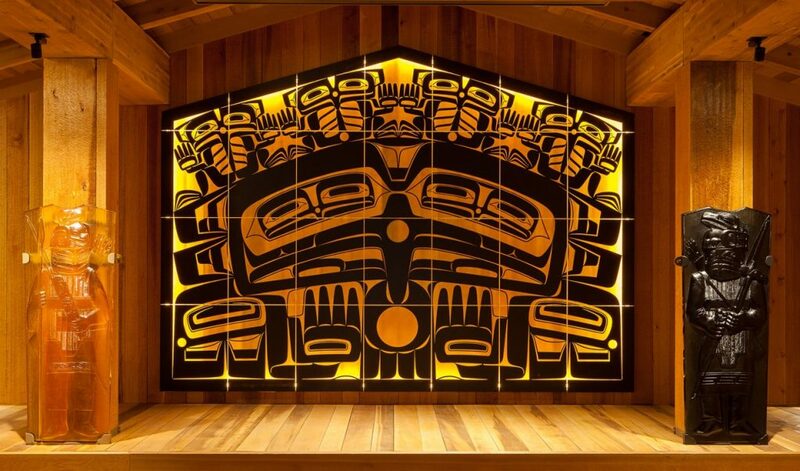 There are plans to build a glass studio at the Evergreen State College where they have a strong Native Arts program and want to develop a Masters program in the arts for Indigenous people. This program would have a glass studio that would be part of that masters program. This to me would be an amazing opportunity to provide a place where Indigenous people could learn to work with glass. Explain the process of your drawings and artwork that is required before you begin work on the glass. 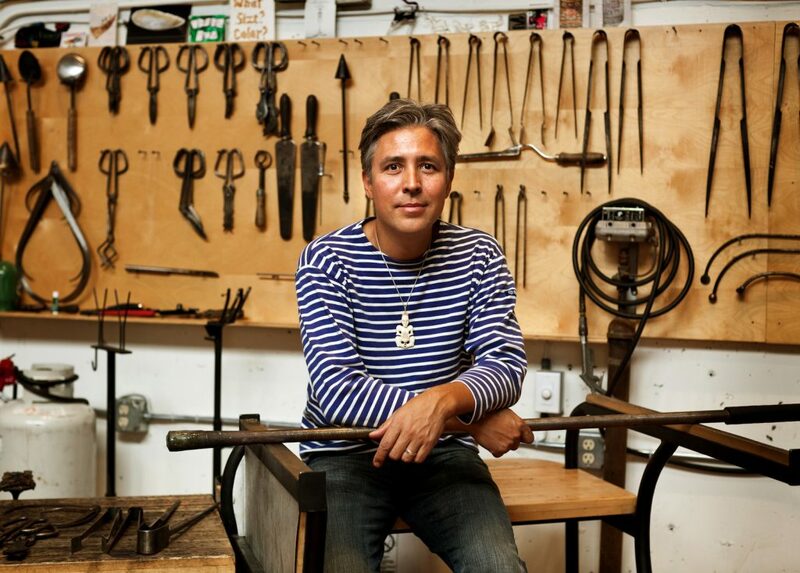 My pieces are inspired by traditional carved objects, 2-D design work and how it integrates on the 3-D piece. 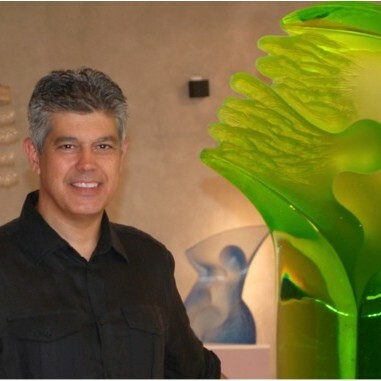 In the beginning I was mainly inspired by historical objects, but of course my glass pieces would not be regarded in the same way, so I realized that I had an opportunity to interpret them in different ways. Sometimes it’s an exaggerated scale of an object, and sometimes it’s inspired by the Modernist art of the turn of the century, Primitivism, Surrealism and even abstract art. 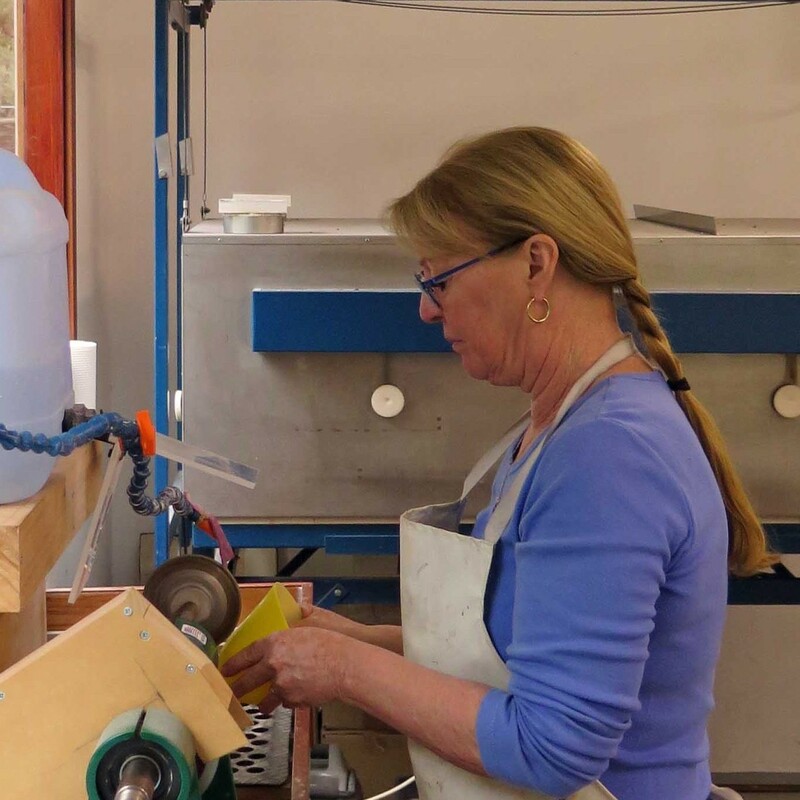 Some of the ideas are generated on paper and some are conceived through the glass blowing process. In some cases I’ve had objects sitting around on shelves for years, and then one day I can see something in it and I’ll finish the form. How did you first come to work on ‘Totem’ commissions? I was first driven to make a glass House Post, which I made first. These are the door like shapes that people think of, but they are actually tunic designs and if you look at the scoop out of the top center you can imagine that. In any case, these were the first forays into making larger monumental work. 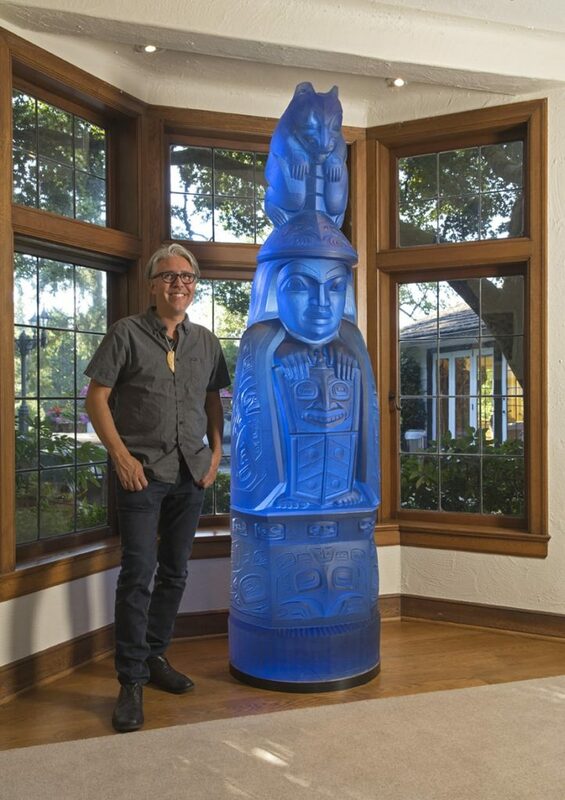 I became driven to make a totem pole made of glass, and so I worked collaboratively with a good friend, carver and mentor David Svenson to make the first “Family Story Totem”. It’s a story that relates to my Great Grandmother Susie Johnson Bartlett Gubatayo. At the turn of the century she had a pet grizzly bear as a child and the bear developed a taste for taffy that was made by a Russian woman living in Sitka where Susie came from. She went to the forest to pick berries to sell to get Russian money so she could buy taffy for her beloved pet. I was able to find clients and supporters to commission additional versions of this piece in different colors, three in total. Now I’m making a new “Killer Whale Totem” which is my clan symbol and will be even larger than the “Family Story Totem”, standing at over eight feet tall. 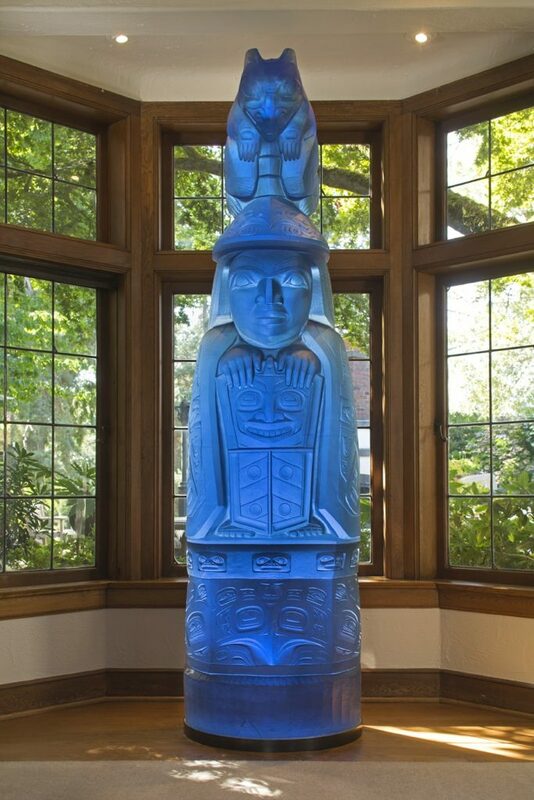 Discuss your work ‘Family Story Totem’ and how this work took a further link and was cast in the Czech Republic. Due to the massive nature of these pieces weighing 2000 lbs. I was having difficulty finding a studio to help me execute these pieces. I had another old friend, Charlie Parriott who had been helping people execute pieces in the Czech Republic. They have a lot of experience working in larger scales, they have access to lead crystal and they have a lot of skill with the cold working which is pretty extensive on these pieces. Also very exacting in the way that they are ground to stack up precisely. What was their response to the story the Totem told? The Czech’s were very intrigued with the idea of helping out with these pieces. I feel, in general, people were intrigued with the notion of Native art and culture. We have developed a very close working relationship today. Comment on Tlingit Dancing Staff. This piece represents the Tingit Dancing Staff, which were used by the singers or dancers and were thumped on the floor to keep time or wavered in sync with the music. Public commissions are now a huge part of your work, can you expand on ‘Transformations’, commissioned by the Seattle University. perspectives to approach and scale. On a much smaller scale ‘Shelves & Baskets tell us about them? These pieces came about as an exploration of the basket form in general. At first I made them in earth tone colors to mimic the traditional pieces. Later on I decided not to limit myself to just the muted tones and started exploring different color combinations. They range from 4 x 5 inches, to 8 x 9 inches, and I have done very large ones too, as big as I could utilizing a big team. The designs are all traditional or at least historical. There was a time when baskets were made for the tourist trade and I’ve studied a lot of the designs through historical photos from Indian Curio Shops. just need to play with it in different parts of the space it’s being viewed in. In the case of my hat forms, I do believe that the glass has a “spirit” in it, which is revealed when the lighting is right. Kind of like when people explored caves and found themselves standing somewhere with a ray of light coming down through a crack highlighting a petroglyph! Can you expand on the history behind the traditional weaving and was it done by men or women? How has this history effected your work. Traditionally weaving was done by women. It was gathered from cedar trees, the skin just under the ruddy bark. It was split, softened and then woven. Spruce root was also used by the Tlingit, Haida and Tsimshian. 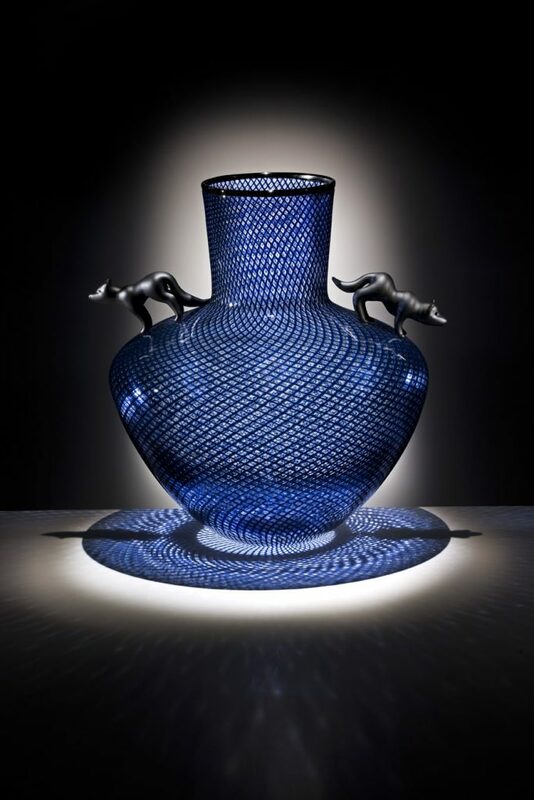 In my way, these glass baskets are an homage to traditional basketry. Briefly give us the inside story of ‘Martin Guitar’. The Martin Guitar company had contacted Sealaska corporation, my tribal affiliate. They were brokering a deal to procure spruce wood from land that was controlled by Sealaska. 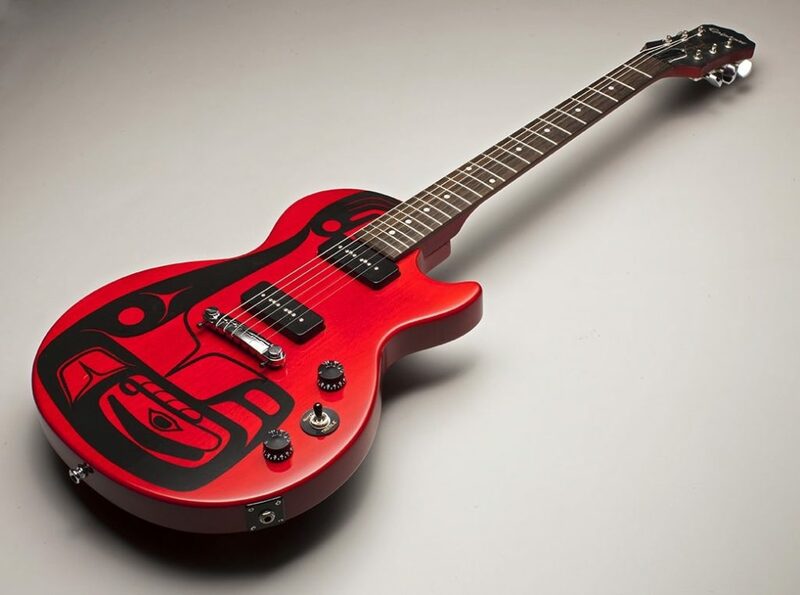 Martin had expressed interest in producing an affordable/production guitar with an Alaskan Native design. Sealaska put me in touch with them. Melissa Post, a Curator from the Museum of Glass, contacted Martin to see if they could get a prototype to tour with an exhibition I had in 2009, and so they sent me a spruce guitar to paint a design on. The project was never executed, but I did get to keep the painted prototype. 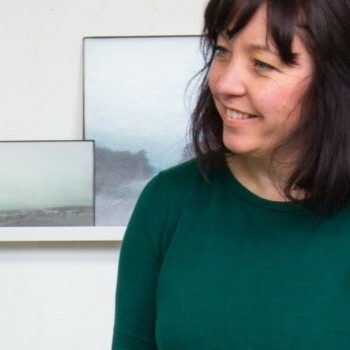 Explain how your journey has been influential both personally and the importance of bringing your cultural heritage to the eyes and sensors of the general public in an artistic way. 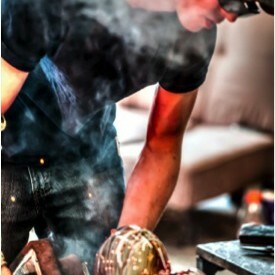 When I first got out to high school, I fell directly into glass blowing as a job. I thought it was a great day job, but music was my first passion. Later I went to the Pilchuck Glass School and realized how artists work with glass in many different ways. In an effort to find my own personal style, I turned to my culture. I never realized how fulfilling it would be. It brought me back full circle to my family, my people, my history and culture. The more I learn the more intriguing it becomes. There is really so much to learn. I have been adopted by important mentors and given additional names, which validated me within the Native community. I was given an honorary Doctor of Arts degree by The University of Puget Sound, and I felt that this validated me in the Western perspective. I also explore my culture through music, and I work with Native and non-Native musicians with my band Khu.éex’. We use Native singing, storytelling, performance art and spoken word using Jazz, Rock and Funk styles. In the old days of Tlingit culture, the stories, songs, dances and art were all one thing. So it is a very full life that I live and I’ll keep doing it as long as I can! Lisa Cahill Glass Artist - Canberra, Australia. 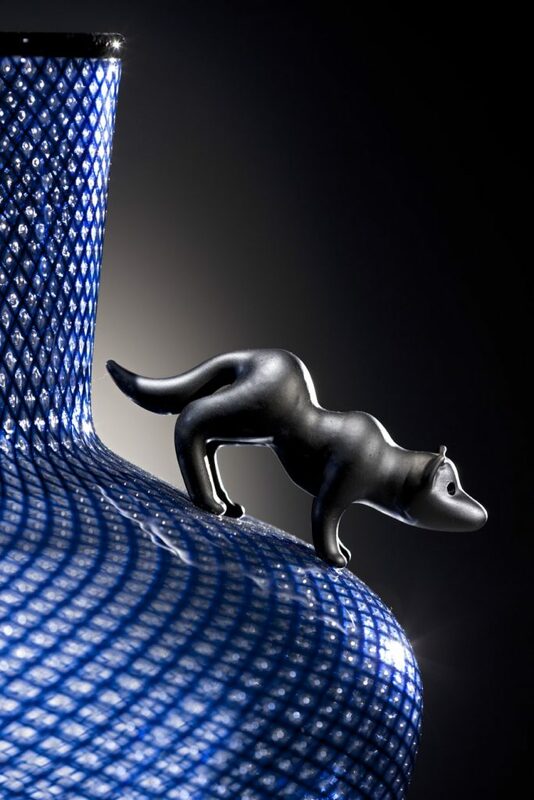 Anne Sorensen Glass Artist - Western Australia.